Payment options : credit cards, cash deposit, wire transfer. Available languages : English (US), Swedish, English (Nigeria), English (Ghana), English (Kenya), Spanish (Peru), English (South Africa), . Customer support : contact form, direct email address, phone number, live/bot chat. 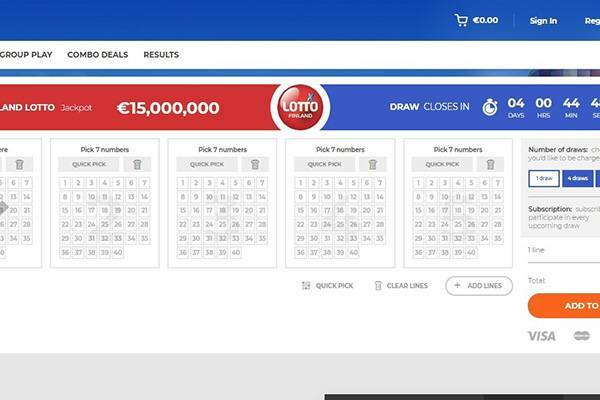 LottoFun.com, not to be confused with a lottery operator of a similar name but .co.nz extension is a new online lottery platform I, fortunately, got to know shortly after it’s launch on March 2018. It is one of the latest to launch in a modern platform – making most of the wide screens – that is friendly and beautiful. Will it rank well? Does it have what is needed to deliver value and FUN to existing players of the online lotto niche? Read some more for my in depth, as possible at this stage, review of the most relevant review aspects. Lottofun is proof that an exceptional platform can tailor an experience to a high degree. The responsive design and implementation of the website is close to flawless. 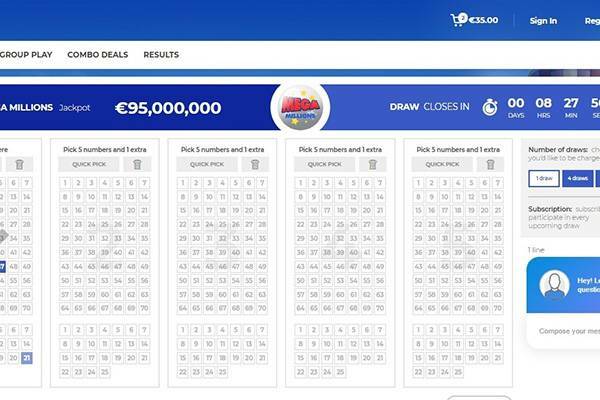 The screen’s width is properly made use of – this is one of the widest websites I’ve seen in the lottery niche. Mobile view is also excellent with a similar polished experience. 29 lotteries are available – Australia Monday & Wednesday Lotto, Australia Saturday Lotto, Austrian Lotto 6/45, BonoLoto, California SuperLotto Plus, Canada Lotto 6/49, El Gordo, EuroJackpot, EuroMillions, Finland Lotto, Florida Lotto, French Lotto, German Lotto 6/49, Hoosier Lotto, Irish Lotto, Mega Millions, Mega Sena, New York Lotto, Oz Lotto, Polish Lotto, Polish Mini Lotto, Powerball, Powerball Australia, Powerball South Africa, South Africa Lotto 6/52, SuperEnalotto, Turkish Lotto 6/49, UK Lotto, and UK Thunderball – for both single lines and group shares. This is pretty unusual in the number of lotteries supported, their wide variety, and the number of lotteries that support syndicate. 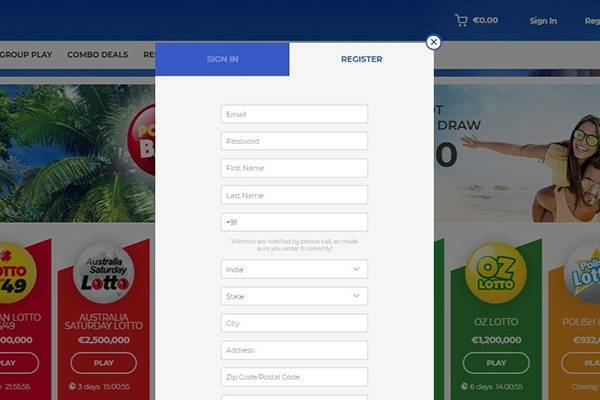 Most brands support only the biggest and most popular lotteries, while LottoFun makes a huge effort to include, with the “regular” lottos, geographical relevant lotto – focusing on lotteries that are attractive for players native to the languages that are supported on the website. Kudos! 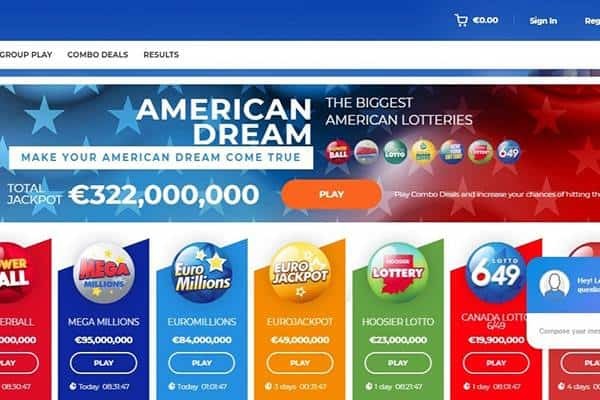 One other product is the combo, which is a bundle of lotteries with some relation – American, Euro, World, and more – that players can buy shares to. These combos have the potential of HUGE jackpots. As with many lottery agents, there’s no native app – iOS or Android – but… and in this case, this is a big but, the mobile view support is amazing. Close to native in the sense of a design and accessibly that is focused on the journey lottery players would go through when it is on a mobile device. The main elements are as easily reachable as they are on a wide PC screen. This is something that many aim to achieve, but never quite reach it. I think that if you try visiting the site using you smartphone, you would find the experience more than satisfactory. Especially considering the competition. 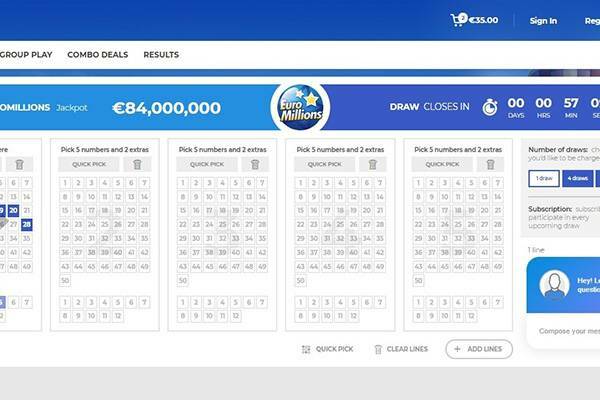 LottoFun has a VIP Multimillionaires’ Club that rewards active players with up to 10% discount on an already attractive ticket and shares prices. With every 1€/$/£ spent you get 1 loyalty point, and the more points you earn the higher the level you reach on the club. Beginner’s Luck: 10-19 points get up to 0.4%, 20-25 points get up to 0.75%, 26-31 points get up to 1.0%. Fortunate Casual: 32-42 points get up to 1.4%, 43-53 points get up to 1.75%, 54-64 points get up to 2.0%. Notoriously Lucky: 65-80 points get up to 2.4%, 81-96 points get up to 2.75%, 97-112 points get up to 3.0%. Child of Fortune: 113-133 points get up to 4.4%, 134-154 points get up to 4.75%, 155-175 points get up to 5.0%. Lottery Winner: 176-201 points get up to 6.0%, 202-227 points get up to 6.5%, 228-253 points get up to 7.0%. Multi Millionaire: 254-284 points get up to 8.0%, 285-314 points get up to 9.0%, 315-more points get up to 10.0%. While this is not an immediate reward that most players want, for serious players, this is definitely the way to go as it rewards them for continues play. Considering the high potential of some of the offered products – group and combo – this is a brand that can offer value in the long run. 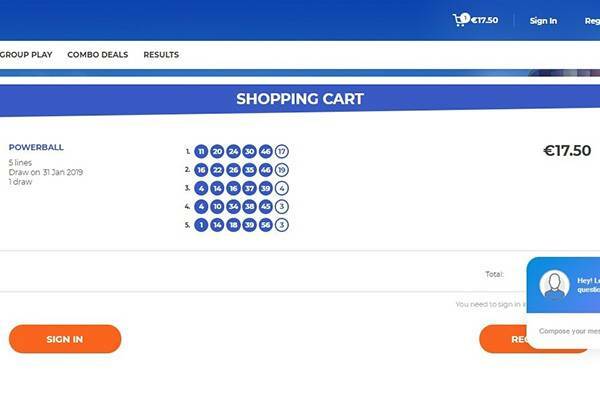 Players who want to complete a deposit/ purchase will find Lotto Fun accepts a noteworthy array of payment options – far more than the common credit and debit cards. In the e-wallet and e-payments section there are some of the most common and popular services, such as Astro Pay, Allied Wallet, Safe Charge, NETELLER, Skrill and more. Any winnings can be withdrawn after completing an online request. The funds are transferred to the payment method that is associated to the account – credit card or any other deposit method used. Not sure why other agents are not making use of LottoFun’s visual representation of the different funnels on the site, but they should. There’s a section that specifies the purchase process step by step with relevant screen captions that focus the user on the relevant elements to the step. This means that if you need any assistance, you’ll most likely find an answer to that need within the help section. There’s an FAQ page that is not as visual, but still easy to navigate through. A search option would be helpful as the list of questions and answers is getting almost too long to scroll through. On the contact section, there’s a contact form to fill with only three fields – name, email address and message. Alternatively, there’s a direct email address to use for reaching support. For those looking for more urgent assistance, there’s a phone number, but no operation times, and a live/bot chat module that is available throughout the site. These are definitely sufficient communication methods, but I’m missing the working hours and days for these and any expected response time. Is LottoFun legit or fraud? Unfortunately, this is where I have to leave my review slightly open, and score the brand accordingly. There’s just not enough real user signals to say that the brand is completely legitimate. There are also no negative or fraudulent signals. This means I have to count on the regulator – gambling commission of Curacao – who issued its license to operate and sell lottery betting. I also base on the technological security level used – there’s a valid HTTPS encryption certificate, as expected. I think this is a brand worthy of a try. The overall signs seem legit, and all new brands need a year or so to gather some real life reviews. I’ll be sure to revisit this brand and update this section of my review, and also the overall score of 4/5 that could have been higher if the brand had some more mileage. Unfortunately, I can’t score LottoFun higher than 4/5 as there are not enough real player reviews to rely on for the legitimacy section. But, considering that, this is a pretty high score, and for a very good reason. This could be one of the most polished websites, for all platforms – desktop, tablet and mobile. It offers a complete experience without over complicating any of the purchase – single line or share – funnels. There are enough game types to keep many of the players interested for a long time, and they are rewarded for that in a generous loyalty scheme that offers up to 10% discount on all purchases. If you give LottoFun a try, you’ll find a new brand with a new approach to the lottery – all the fun, none of the hassle. The lottery selection is wider than a lottery player can cover in a short while, and it goes back to this being a brand to play at for a long run. Well built – technology wise. Offers single line, group share, and amazing combo deal. Has a varied language support that answers the need of users who often can't find their native tongue elsewhere.